Dane Creek Capital is pleased to announce the creation of Dockside Pet Products and Services Inc. (‘Dockside’), an innovative new pet food company serving North America with a mission to deliver the best in pet nutrition using rescued fresh food and environmentally sustainable ingredients. 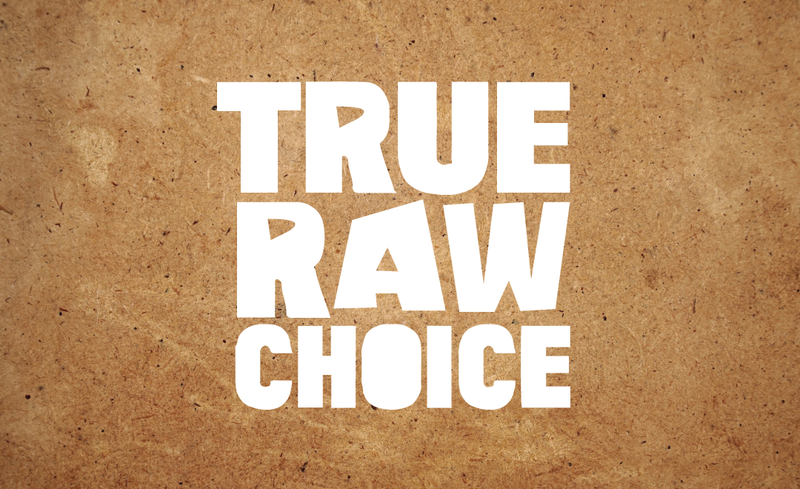 Farah is the President of RawPaw, a Québec-based distributor of high quality raw pet food, treats and supplements. Farah founded the company in 2012 to meet market demands for premium products as consumers began looking to feed their pets with recognizable, sustainable ingredients. After obtaining a Certification in Canine Nutrition, Farah became qualified to formulate customized meal plans to improve and sustain the health of domestic cats and dogs. In her free time, Farah enjoys spending time with her husband and Pug/Shih Tzu Truman, along with horseback riding and competing in local dressage shows. 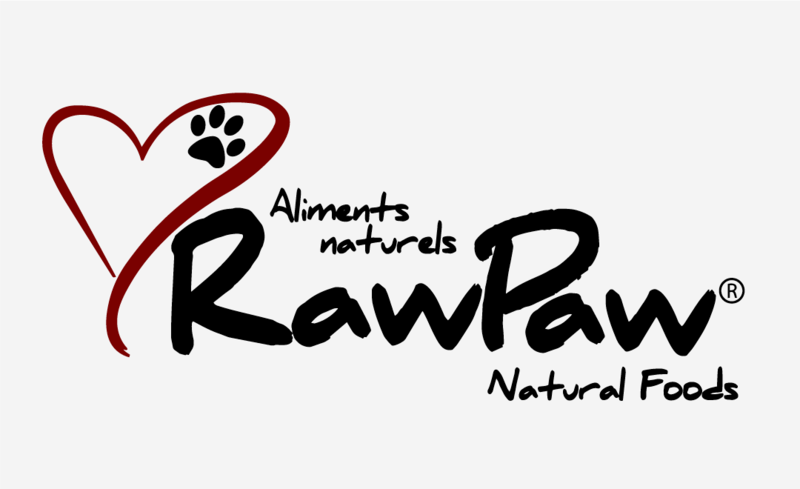 RawPaw Natural Foods (‘RawPaw’) is a distributor and marketer of pet supplements designed to complement a raw pet food diet. Based in Dorval, Quebec, RawPaw was founded in 2012 by Farah Socran. The business’s natural pet health supplements can be found in pet specialty retailers across Canada. PRESIDENT, UNITED PET SUPPLEMENTS INC.
Jon founded Bonnie & Clyde Pet Goods in 2015 after seeing an opportunity to offer pet parents a premium omega-3 supplement. He led the company to distribution in over 450 stores in Canada, as well as developing the direct-to-consumer eCommerce channel in the USA. Jon is a Canadian Forces veteran who served in the 3rd Battalion, Princess Patricia’s Canadian Light Infantry from 2010 to 2013, and did a tour in Afghanistan (’11-’12) doing convoy operations. He’s a father of two boys and enjoys traveling and outdoor activities with his family. He has two cats, named Bonnie & Clyde. UNITED PET SUPPLEMENTS & NUTRACEUTICALS. Bonnie & Clyde manufactures high-quality pet supplements designed to enhance the health and wellbeing of dogs and cats. The business is based in Quebec City and was founded by Jon Caldwell, a veteran of the Canadian Armed Forces. 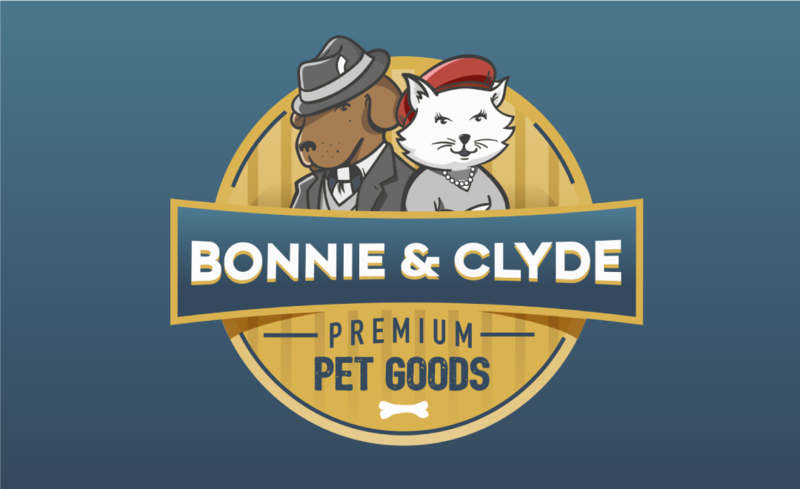 Bonnie & Clyde supplements are sold in pet specialty retail stores in Canada and via online channels in the United States. Mark Angela is an energetic and experienced CEO with a proven track record delivering growth in both public and private equity backed companies around the world. He is currently CCO & CEO EEME Region for SSP plc – a business that builds and operates Food & Beverage centres in travel hubs, such as airports and railway stations, globally. Prior to moving into the hospitality/retail space he spent 11 years in various management roles with Colgate Palmolive, including four years running the Hills Canada pet food business. In his spare time Mark competes in triathlons, a hobby he picked up in Canada that reflects his love of a challenge. With over 30 years experience in the London commercial Investment arena, Stephen is one of the most experienced advisors in the market today with a wealth of major transactions under his belt. His clients include some of the largest global players in real estate, both domestically and Internationally. Stephen’s experience includes three years in Tokyo, where he was managing director of a real estate subsidiary of a UK Investment bank. 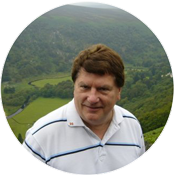 Stephen is a member of the British property Federation and the Investment property Forum. 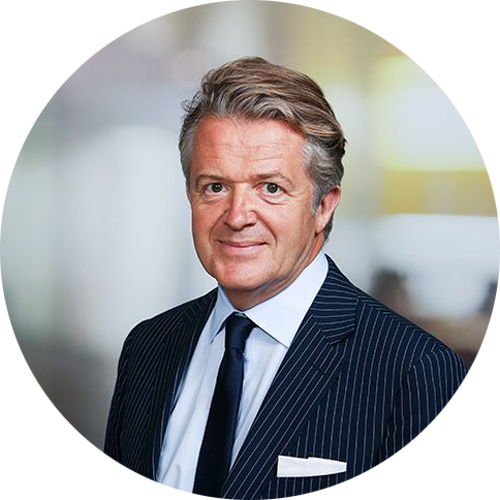 Stephen Down is head of the central London and International Investment team and joined Savills in January 2012 as an executive director. 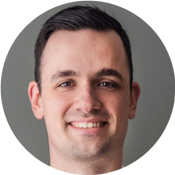 Alex is a Business Analyst at Dane Creek Capital Corp. where he assists the investment team in evaluating opportunities, conducting market research, and supporting portfolio companies. Prior to joining the DCCC team, Alex worked as an Analyst for Bioenterprise, a not-for-profit business accelerator focusing on accelerating innovative businesses in the agriculture space. Alex provided guidance and support to entrepreneurs in the sectors of aquaculture, agriculture technology, ocean technology, and clean technology. This was accomplished through market research, non-dilutive funding support, funding guidance, strategic relationship development, and regulatory assistance. Alex was also actively involved in business development initiatives for entrepreneurs and acted as a facilitator with external organizations. 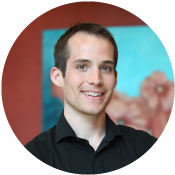 Before Bioenterprise, Alex worked as a Laboratory Manager for BlueLight Analytics, where he gained valuable experience in the start-up space. During this time, Alex’s skillset evolved, incorporating skills that are required as part of an efficient, and highly motivated team, such as customer communication, research and development, project management, product launches, and quality assessment/quality control. Alex has a M.Sc. in Oceanography, and a B.Sc. (Combined Honours) in Earth Science and Oceanography, both from Dalhousie University. Alex and his partner, Jessica, are pet parents to two cats, Luna and Charlie. Brandon’s role is largely centered around assisting the transition of businesses post-acquisition or investment into the DCCC portfolio, including but not limited to establishing corporate governance procedures and bringing company administration up to corporate standards. Prior to joining DCCC, Brandon managed the small cap venture capital portfolio for the family office of Jim Treliving. A portfolio of private companies across diversified industries that shared the common goal of driving success through people, a long-term perspective of value and passion for excellence. 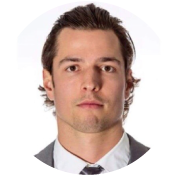 Brandon was born and raised in St. Catharines, Ontario where he also received his bachelors in economics and was a member of the varsity hockey team at Brock University. Whenever he gets a chance he’s on the ice coaching hockey youth and enjoys all things health and wellness related. 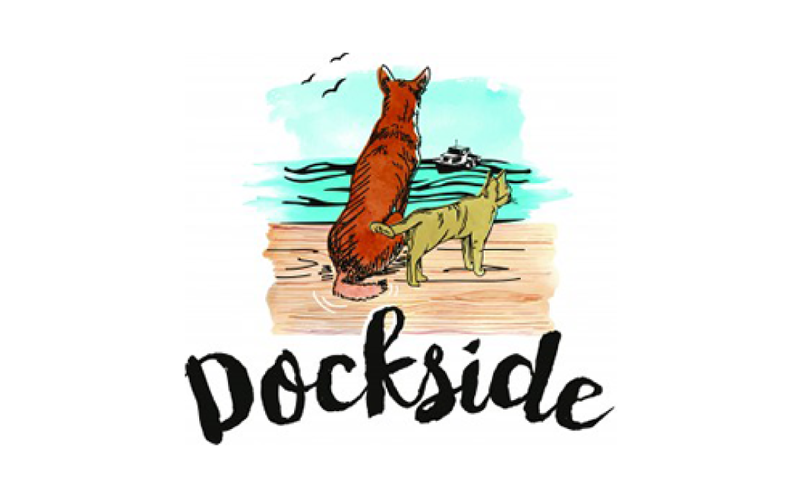 Dockside Pet Products & Services Inc.
UNITED PET TREATS, MEAL MIXERS & TOPPERS INC.
Based in Nova Scotia, Dockside Pet Products & Services Inc. (“Dockside”) is a wholly owned subsidiary of Dane Creek Capital Corp. The Dockside brand of pet treats, meal mixers, and meal toppers for dogs and cats are created using limited, non-traditional ingredients selected for their nutritional quality and sustainability. For more information visit www.DocksidePets.com – Where Quality Pet Nutrition Meets Environmental Sustainability. 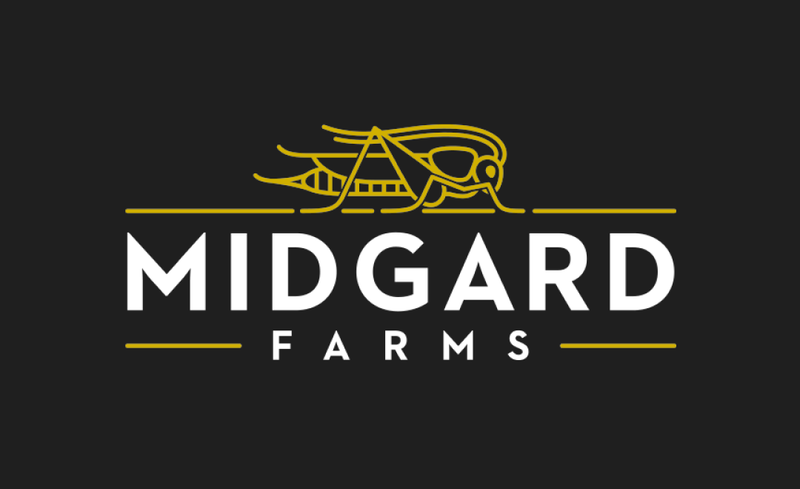 Midgard Insect Farm Inc. is a Nova Scotia-based cricket cultivator of crickets as a sustainable food source with a focus on producing cricket meal for wholesale to the pet food industry where there is growing demand for alternative proteins. In addition, Midgard is a leader in research in the developing science of cricket production and continually seeks to improve farming practices and product quality. It was launched in February 2016 and is operated by founder Joy Hillier, a graduate of Dalhousie University’s Agricultural College. For more information visit www.mymidgard.com. 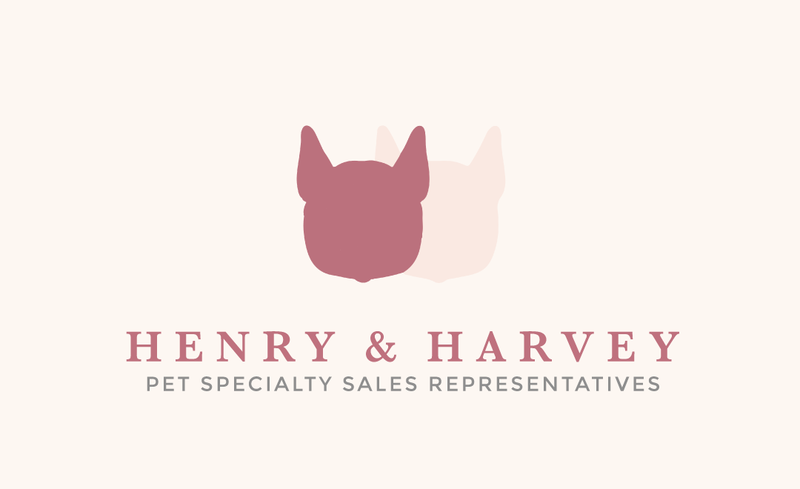 Henry & Harvey Sales & Marketing Inc.
UNITED RAW PET FOODS INC.
Henry & Harvey Sales & Marketing Inc. (“H&H”) is a relationship-based sales and marketing agency with a focus on pet specialty retail in Canada and the United States. H&H provides a variety of services starting with its team of expert sales representatives as well as detailed reporting, strategic guidance, industry insights, and event management. For more information visit www.henryandharvey.com. 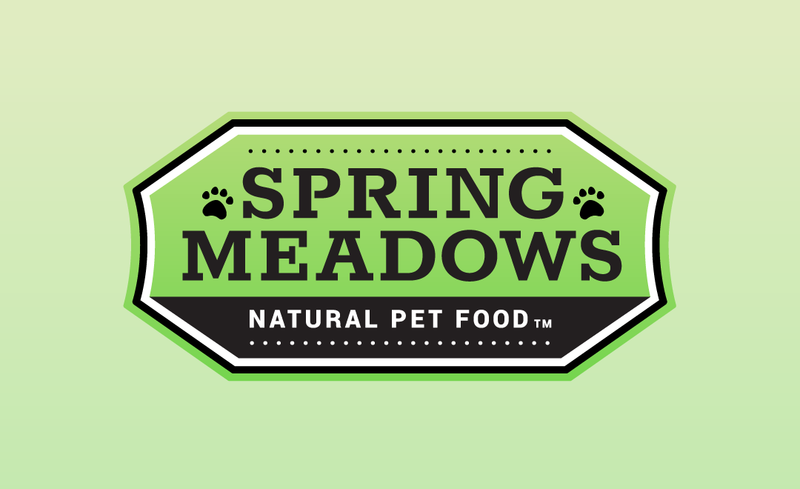 Spring Meadows is the Saskatoon-based manufacturer of premium frozen raw pet foods featuring locally sourced whole ground proteins including turkey, chicken, beef and lamb in conveniently portioned patties. 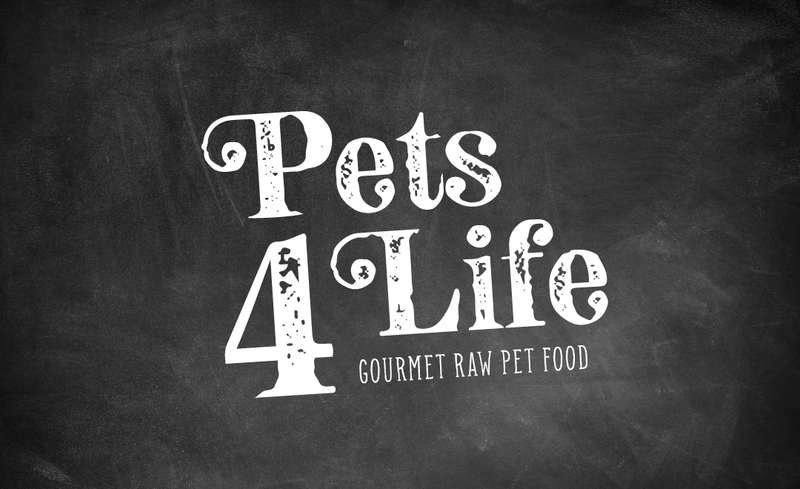 Founded in 2004, the company prides itself on delivering balanced and complete meals for dogs and cats following strict food safety standards and is CARPFM certified. Visit www.springmeadows.com for more information. PetPlate is a direct-to-consumer subscription service that delivers freshly-cooked pet meals made from real food and balanced for a dog’s diet by a veterinary nutritionist. The meals are gently-cooked, custom-portioned, and flash-frozen to lock in freshness. In third-party blind taste tests, dogs chose PetPlate meals 11-to-1 over the leading kibble, and they chose PetPlate over the leading fresh-cooked and raw diets by as much as 4-to-1. 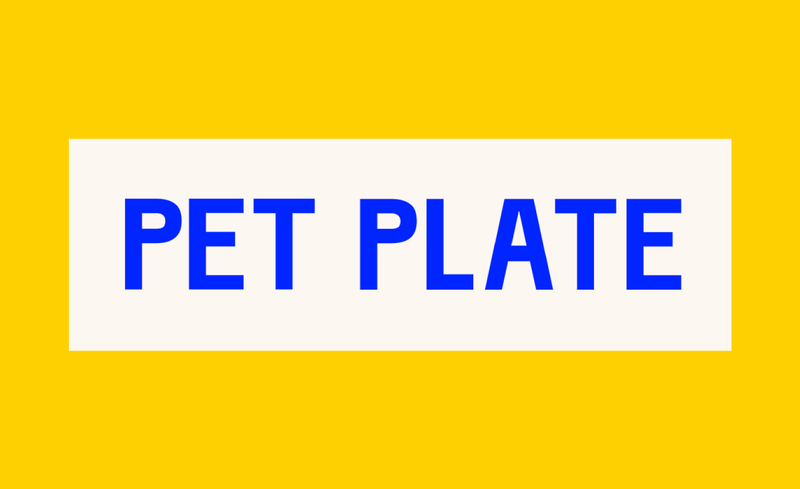 Visit www.petplate.com or @PetPlate on Facebook, Instagram and Twitter. Your True Companion Pet Products Inc.
Baie Run Pet Products Inc.
Baie Run Pet Products Inc. provides devoted dog and cat owners with effective supplements and natural health products that support inner balance and healing to improve their pet’s quality of life. We invest in purity, innovation, education, and listening to our valued clients to deliver authentic natural health solutions that promote strength and vitality so our pets can lead longer, healthier, happier lives. 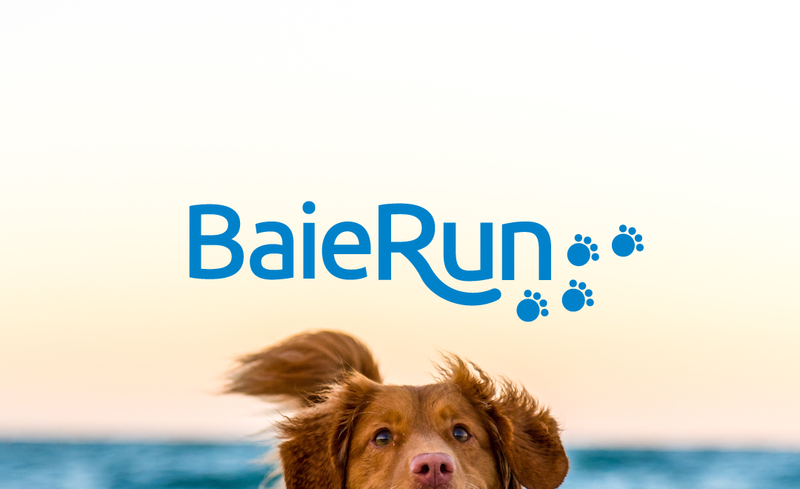 Visit www.baierun.com for more information. Naturawls Pet Products is the manufacturer of NatuRAWls premium single protein frozen raw pet food and all-natural dehydrated treats and the manufacturer of N/A Nothing Added dehydrated pet treats. Its products are manufactured out of a single facility in St. Thomas, Ontario and sold mainly through pet specialty retailers including PetSmart, Pet Value, and Global Pet Foods locations in Ontario. For more information visit www.naturawls.ca and www.nothingadded.ca. 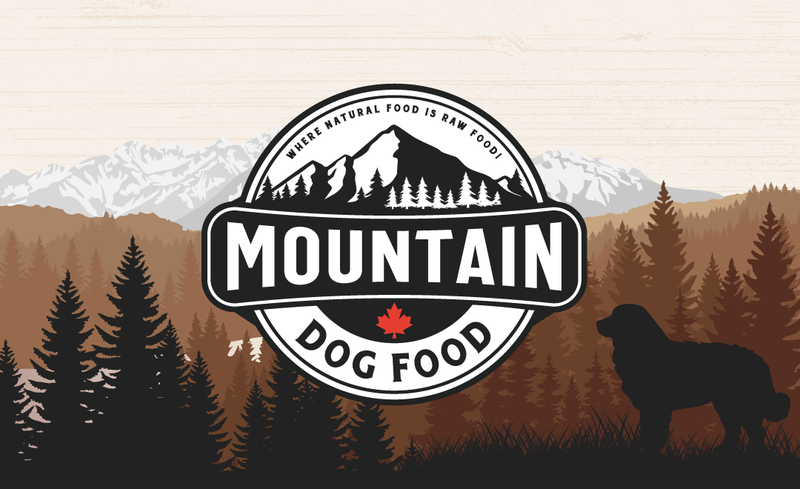 Mountain Dog Food Inc. is one of the largest manufacturers of frozen raw pet food in Canada and the only manufacturer in the country with HACCP Canada certification. Founded in 2000 by Dean Ricard, its products are manufactured out of a single facility in Edmonton, Alberta and sold mainly through pet specialty retailers throughout Canada. For more information visit www.mountaindogfood.com. 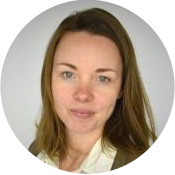 FOUNDER & CHIEF EXECUTIVE OFFICER, MIDGARD INSECT FARM INC.
Joy Hillier is an innovator and entrepreneur with a diverse background including professional experience in the food industry, animal husbandry, biosecurity technology and laboratory procedure. Led by an interest in food security and sustainability, she founded Midgard Insect Farm Inc. in 2016 for the production and research of crickets and other insects as a protein source for companion animals. 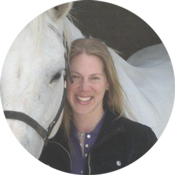 She is a registered veterinary technician with clinical experience and a graduate of Dalhousie University’s Agricultural College. Joy is a speed skater, animal lover and food enthusiast. She and her husband share their home with Galactus a.k.a. Little G, a small but mighty Chihuahua and the lead taste-tester for Midgard crickets. 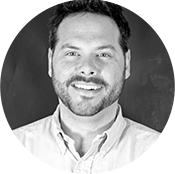 Jeremy Moule is a goal-oriented financial officer with proven experience driving growth through strategic planning, new revenue generation, and process optimization. He has held a number of financial management positions and most recently served as Finance Manager of Athletigen where he raised 710,000CAD in non-dilutive funding and participated in initiatives to increase margins by 77%. Prior to that he was Financing and Administration Manager at Acadia Entrepreneurship Centre where he designed and delivered a revenue-generating training program and increased operational efficiency by creating a centralized digital database for company documents. As a former university athlete he is a motivated self-starter with a competitive drive and a positive outlook in challenging situations. Jeremy and his wife have two young children and one extremely self-centred pug named Bernie. My name is Brett Flahr, I was born and raised in and around Saskatoon, Saskatchewan. I am a married father of two sons & our cat named Carter. I worked in the printing industry for 20 years before changing directions and becoming a pet food manufacturer which I have been doing for the past 14 years. My hobbies include fishing, riding quads, Kung Fu and spending time with my family. Spring Meadows Natural Pet Food was founded in 2004 to provide pet owners with a high quality raw ground whole animal pet food. Understanding the varying needs of our pet clientele, we provide a variety of product sizes that make it easier to feed small to large animals. 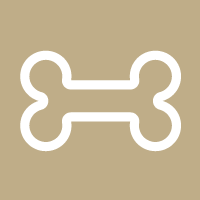 We are proud of our products and the health and vitality it offers our four-legged friends. We are here for pet owners who are seeking the best for their pets. We are a newer company in Saskatoon, Saskatchewan offering a natural alternative pet food manufactured in our own plant. We are giving the consumers pets the health & vitality they deserve. We believe Spring Meadows is: The Best Choice… Naturally. 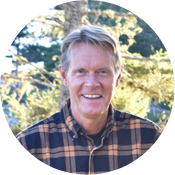 CHIEF EXECUTIVE OFFICER, MOUNTAIN DOG ENTERPRISES INC.
Dean Ricard is the founder and CEO of Mountain Dog Enterprises Inc., one of the largest frozen raw pet food manufacturers in Canada and the only manufacturer in the country with HACCP Canada certification. A pioneer in the industry, Ricard first became involved in the mid 90’s with the development of a raw food diet for his own pack of breeding Bernese Mountain dogs. In 2007, recognizing the lack of regulatory standards and industry best practices in a growing pet food category, Ricard lead the formation of the Canadian Association of Raw Pet Food Manufacturers. The association provides manufacturing guidelines, recognition for manufacturers in good standing, and a way for consumers to differentiate between the growing number of brands in the industry. Prior to the founding of Mountain Dog, Ricard held a number of sales and manufacturing positions in multinational conglomerates in the industrial sector including SKF Bearings and Canadian Meter. He and his wife live in Edmonton, Alberta with their dog George. 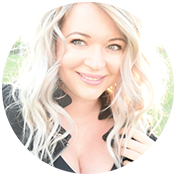 Melissa is the Director of Operations for Naturawls Pet Products, one of the fastest growing manufacturers of high quality raw pet food and dehydrated pet treats for dogs and cats in Canada. Melissa helped to found the original company in 2011. The business was started out of a concern over their own family pets. Melissa’s mother raised German Shepherds and noticed the connection between kibble and health issues. Melissa has a passion for nutrition and strongly believes that everything (human and animal) should be eating in harmony with their ancestral diet and their specific constitution. Melissa lives with her 2 young children and dog Tucker. In her “spare” time she enjoys snowboarding, gardening, fishing and hiking. 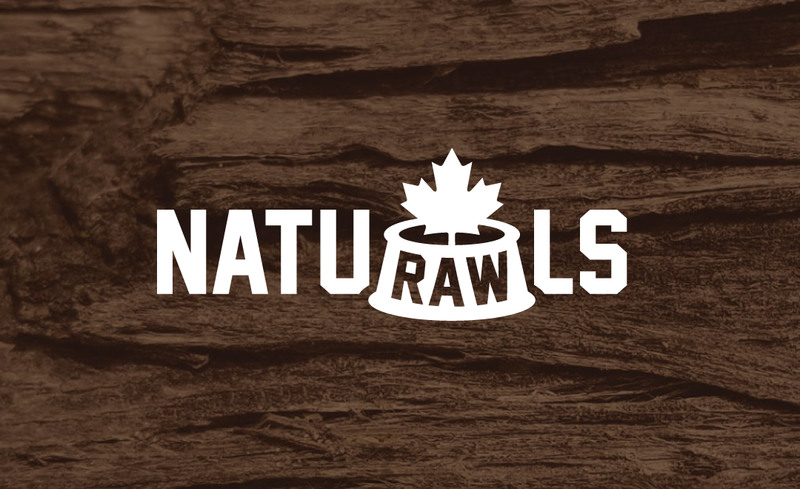 PRESIDENT, UNITED RAW PET FOOD INC.
Mark Murakami created Naturawls Pet Products through the purchase of NatuRAWls in August 2017, a leading Ontario-based manufacturer of frozen raw pet food and dehydrated treats. Prior to that he owned a Global Pet Foods franchise, doubling sales in two years to become one of Canada’s top grossing stores and the first Global Pet Foods store in Ontario to build a walk-in freezer for raw pet food. He is a former high school math teacher and has a black Labrador named Suki. SEE UNITED RAW PET FOODS INC. 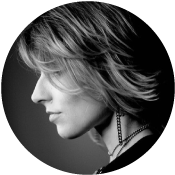 FOUNDER & CEO,H&H SALES & MARKETING INC.
Viki Bartosiewicz is a customer relations and B2B sales professional with a passion for animals and business. Her extensive experience in the pet industry has led to the founding of Henry & Harvey, a full service pet specialty sales agency serving Canada and the US. Through H&H, Viki is focused on partnering with innovative pet products and service providers to grow and solidify their B2B relationships and sales programs. Prior to founding H&H, Viki served as Senior Sales Manager for Dane Creek Capital Corp. and Director of B2B Sales in Canada at Pethealth Inc., a multinational corporation and the leading global provider of companion animal microchips. In addition to developing business Viki enjoys spending time with her two Frenchies, exploring the Canadian outdoors and horseback riding. 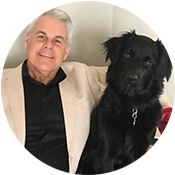 FOUNDER & PRESIDENT, YOUR TRUE COMPANION PET PRODUCTS INC.
Paul Spindler is the founder and president of Your True Companion Pet Products Inc. (‘YTCPP’), where he proudly manufactures exceptionally high quality pet treats and supplements using only human grade, natural ingredients. Paul is committed to the well-being of peoples’ pets, providing local, natural products with positive health benefits for companion animals to enjoy. 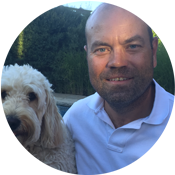 Having worked in the pet industry for over 25 years, Paul is passionate about his work and sharing his products with people and their pets across the country and abroad. Paul lives in Guelph, Ontario with his wife Julie, three children, their beautiful dog Onyx and cat Boo. 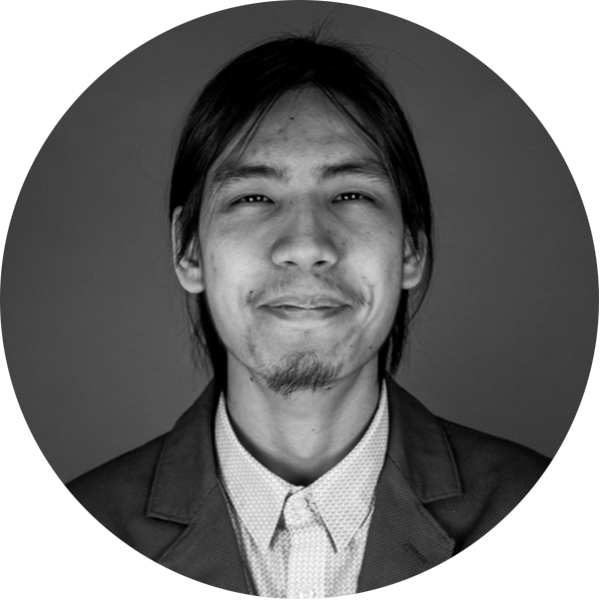 Takeo (Tak) is a multimedia designer at Dane Creek Capital Corp. His responsibilities at the company are largely concerned with producing print marketing materials and web/ digital front end solutions for all holding companies and businesses in the Dane Creek portfolio. Tak’s experience and creative strategies have been involved with establishing corporate identities, digital products, motionography and more. Through rigorous training, Tak recognizes the importance of maintaining craft in any design oriented solution. He always considers to engage in a multitude of aesthetic choices, all of which must remain simple, clean and human. 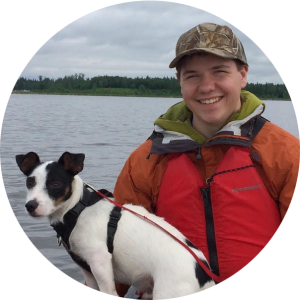 Joshua Quinlan, hailing from Edmonton, Alberta is the former sales and marketing manager of Mountain Dog Food. Now part of the Dane Creek Capital team, he studied Sociology at Concordia University of Edmonton, tenaciously studies and applies relationship dynamics, people skills and leadership. He truly believes that the free enterprise system is the best thing for our country and is proud to be part of Dane Creek Capital Corp. and its mission to make it better. Josh lives with his wife Anastasia and their two dogs Koda and Patch in Edmonton, where they spend their spare time in the great outdoors, going on road trips and getting ready for their baby girl who will be arriving later this year. Kim is a marketing and events coordinator at Dane Creek Capital Corp. where she helps to coordinate events and all things marketing related for our portfolio companies. Kim was born in Durban, South Africa and attended the University of Guelph where she graduated with a Bachelor of Commerce degree with a major in Marketing Management. Prior to working at Dane Creek, Kim worked in a classroom and spent her summers working as an event assistant and as an experiential marketing brand rep for various companies. 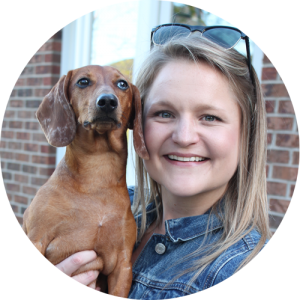 In her free time Kim enjoys spending time with her family and dachshund named Frankie, who you can sometimes find making an appearance at the office. Before joining the accounting team at Dane Creek, Suryakant held the position of Financial Controller at Pethealth Inc. for over 8 years. Prior to that, while working for KPMG and a multinational bank, Surya led numerous audit engagements, SOX projects and fraud investigations in Canada, United Arab Emirates, Pakistan, Hong Kong and the United Kingdom. Surya holds a degree in Commerce with a major in accounting from the University of Karachi and now is the Senior Corporate Accountant for the Dane Group of Companies. He and his wife Maya have a daughter named Aankshika. In their spare time they enjoy interior décor, painting with mixed media and cooking. Amanda “Zee” is a hands-on corporate communications professional with cross-channel marketing experience in areas including branding, online marketing, and investor relations. 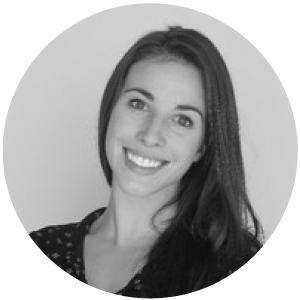 Another former member of the Pethealth team, she has previously worked with Mark and Glen as Corporate Communications Manager and now works with DCCC and its portfolio companies to accelerate their marketing goals. She has a BASc in Biomedical Science from McGill University and a MS in Communications from Boston University. 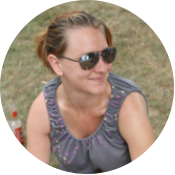 Amanda spends most of her spare time tailing her inquisitive toddler and camping up and the down the East Coast. 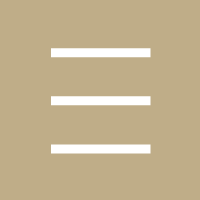 MacKenzie leads M&A activities and strategic initiatives at Dane Creek Capital Corp. Her focus is on sourcing, evaluating, and completing investment/acquisition opportunities, and supporting portfolio companies. Prior to joining DCCC, MacKenzie worked as an investment analyst and program lead for Nova Scotia’s early stage venture capital fund Innovacorp, covering life sciences, ocean technology, clean technology and information technology sectors. MacKenzie holds a Bachelor of Management degree with a major in sustainable resources and environmental management from Dalhousie University. More recently, she studied venture capital finance at Saint Mary’s University and is currently pursuing her CFA. 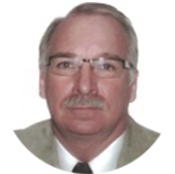 Peter Galoska is a veteran finance and accounting professional with over 35 years of experience managing both public and private sector company finances. His skill set includes operations, reporting, acquisitions, IT systems, and more. 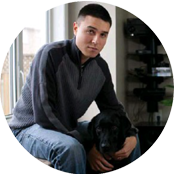 Formerly the VP of Finance at Pethealth Inc., Peter has been working with the co-founders since 2005. He holds a B.Sc. from the University of New Brunswick, a Graduate Diploma in Accounting from McGill University and a CPA, CGA designation. In his spare time, Peter enjoys traveling to the U.K. and time spent with his grandkids. Glen Tennison is the former CFO of Pethealth Inc. from its creation in 1998 to its sale to Fairfax Financial Holdings Limited in 2014. He led Pethealth’s many acquisitions including that of Nestlé Purina’s pet insurance business, PurinaCare; the acquisition of Domestic and General Group Limited’s U.K. pet insurance provider, Pet Protect Ltd.; and the acquisition of VetMedsDirect.co.uk, an online retailer of pet specialty products. 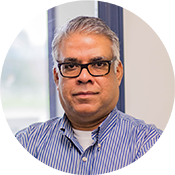 He holds a B. Comm (Hon) from McMaster University and a CPA, CA designation which he earned while working for PricewaterhouseCoopers. He and his wife Alaina have three children and a dog named Teddy. In addition to sitting on the boards of DCCC portfolio companies, he is a board member of the Darling Home for Kids, a hospice and palliative care facility for medically fragile children. 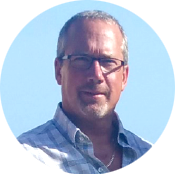 Mark Warren is the founder and former President & CEO of Pethealth Inc. formed in 1998. Under his leadership, Pethealth became the leading aggregator of new pet and pet owner data, the largest provider of cloud-based software to the companion animal industry, one of the largest providers of pet insurance in the US, UK & Canada and the world’s largest provider of companion animal microchip technology. 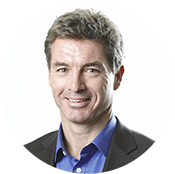 He is also a former CEO of Hambros Canada Inc. and former Executive Director of Hambros Bank Limited. Mark holds a B.A. (Hon) from University College, University of Toronto and a M.Sc. (Econ) from the London School of Economics. He is the father of two grown sons and as empty nesters, he and his wife Sue share their home with a small pack of three dogs and two cats. Henry & Harvey, Companion Pet Products, Baie Run, Mountain Dog Food, Midgard Insect Farm, Dockside Pet Products. and the world’s largest provider of companion animal microchip technology. Pethealth was acquired by Fairfax Financial Holdings Limited (‘Fairfax’) in November, 2014 for all cash consideration of C$100M representing 2.1x twelve months trailing revenue, 19.6x twelve months trailing EBITDA and a 69% premium to the common share price. We are entrepreneurs ourselves. We understand the challenges you face and have hands on experience turning good ideas into profitable ventures. We know the pet industry and we’ll lend our strategic insights to the advancement of your business. Our review process is fast. We personally select each investment without relying on a review panel or board of directors. Once approved, you’ll have investment funds in hand in 60-90 days. We provide back office management support so you can focus on what matters most: growing your business.